It was another wonderful Christmas Street Party on Glos Rd Central on December 6. Those who braved the rain had a great time, enjoying festive goodies from Joe’s Bakery and hot sausages outside Giles Butchers. 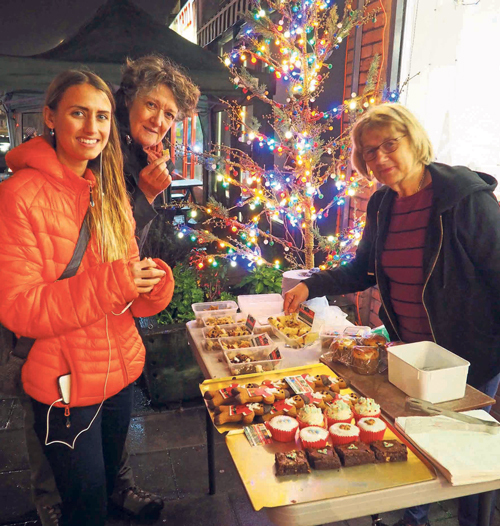 There was plenty of mulled wine on hand outside Alchemy 198 to cheer the proceedings along, as shoppers enjoyed late night browsing at the area’s independent stores. Entertainment was provided by Glos Vox Choir singing traditional songs and puppeteers Charlotte Whitten and Fran Lewis from Monkey Trousers Theatre were on hand to keep Mr Gotalot in check!